Every year, UKC is co-organized by the KSEA, KOFST (Korea Federation of Science and Technology Societies), and KUSCO (Korea-US Science Cooperation Center). This annual conference brings together more than 1000 scientists and technical experts in academia, industry and government from the US and Korea. 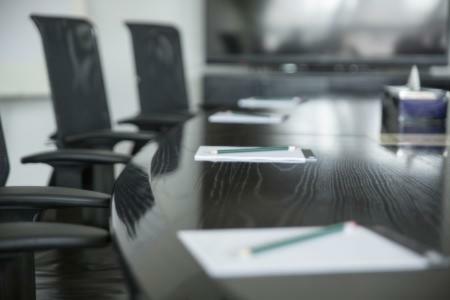 The UKC tradition dates back to the early 1970s and over 30 successful conferences have followed. The conference serves as a meaningful platform for scientists, policy makers, and entrepreneurs to explore partnerships between the two great countries, expand their expertise through business development areas, and nurture future generation leaders through mentorships and early empowerment. Over the past few years, UKC invited the general public to attend a Nobel Laureate Speaker Lecture. This one lecture session is now expanded to a full two day immersive UKC Public Session program. 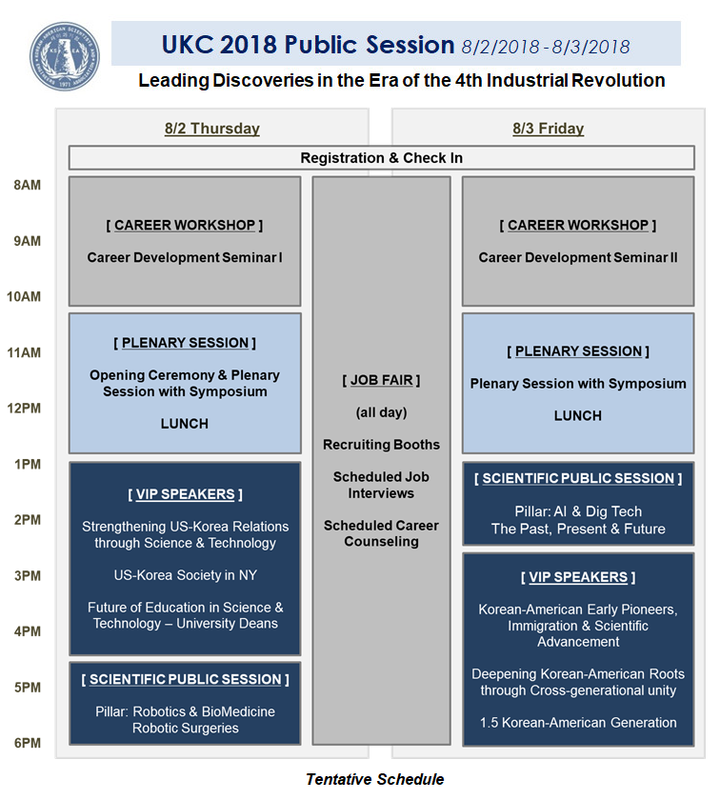 The UKC 2018 Public Session program is being spearheaded by HRCap, hosted by KSEA and the Korean Consulate General of New York, and designed in partnership with key institutions, associations, and companies in the Greater New York Area. It will also take place on August 2-3, 2018 at St. John’s University Conference Center in Queens, New York. The Public Session is open to and designed for the general public. We are targeting over 500 attendees across cultures (Korean, Korean-American, Non-Korean), generations (Builder, Boomer, Young Generations), and domains (Academia, Government, Industry) within the Greater New York Community. The program will bring together key leaders in Academia, Government and Industry as speakers, organizers, and sponsors. It will include all-day job fairs with scheduled interviews and career consultation, and will offer speaker lecture series and moderated panel discussions on themes of leading the next Industrial Revolution, strengthening US-Korea relations, and deepening Korean-American roots. We will soon announce open and active calls for volunteers and will launch the website for online applications & registrations in April. Compared to other conferences, the UKC Public Session will open to all at a minimal cost. For further details, please visit the website www.UKC2018.org/public. For interests in partnership, sponsorship, or volunteering opportunities, please contact the Public Session Chair Mr. Sung Soo Kim or Co-Chair Ms. Stella H. Kim at UKCPublic2018@gmail.com. Job searching can definitely become a little bit easier by taking advantage of all these useful resources.